Limited Quantity, Limited sizes. While stock lasts. No Free Shipping on this product. The Himos (Strings) and Leather piece for the Men/Do and Tenugui are included. The High Performance KAITEKI Men is uses the Hybrid Duraluminium lightweight Mengane, which gives the ultimate performance and strength for everyday practices. The Men has a design with FUCHIGAWA finish, using top quality Clarino Leather. The Tsuki dare has the simple but very popular Gobanzashi dark navy stitching, and 5 Dan (lines) Kaszari. The Futon reinforcement is the Orizashi Fabric which gives the best breathability in hot sweaty summers. The back side of the Men is reinforced with the Green Kozakura, which gives an accent to the Bogu. Only available in specific sizes. Kote is a light weight Kote with Top Quality Navy Blue Clarino Leather reinforcement where needed. The fist portion is a Double Namako finish for better movability. The palm is made with Top Quality Brown Clarino Leather. The Tare is a light weigh Tare which is flexible and it will fit to your body from day one. The Futon reinforcement is made with Top Quality Orizashi Fabric, and it has 5 Dan (lines) Kazari. The borders are crafted with Clarino Leather reinforcement, and the back side with the Green Kozakura. All E-BOGU Bogus include a 50 Bamboo Look Yamato Do. The Mune (chest part) is manually crafted with top quality KUROZAN leather Mune. 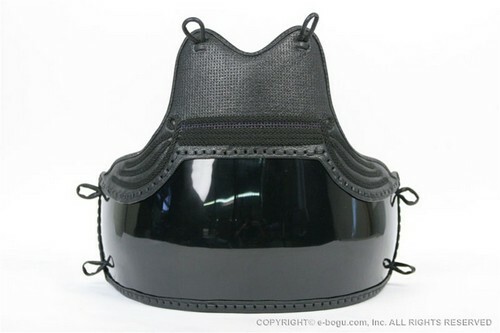 Do Himo, Chichigawa (leather pieces for the top and sides) are included. Quality seems high but hasn’t been tested yet. Kaiteki 5G Bogu set its a fine piece of training equipment, thank you very much.